Getting close to one of the big icons of Western civilization — the Acropolis, the palace of Versailles, the Colosseum — can be the spine-tingling high point of a European trip. But don't paper over Europe's "smaller" achievements. 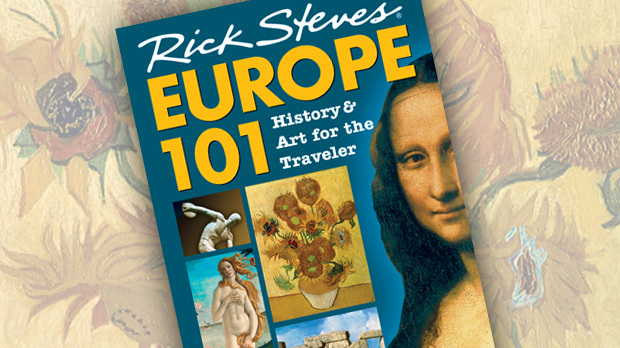 Many of Europe's lasting cultural contributions are captured on dusty sheets of vellum or parchment. Paging through these literary treasures in museums and libraries can raise of few goosebumps of their own. 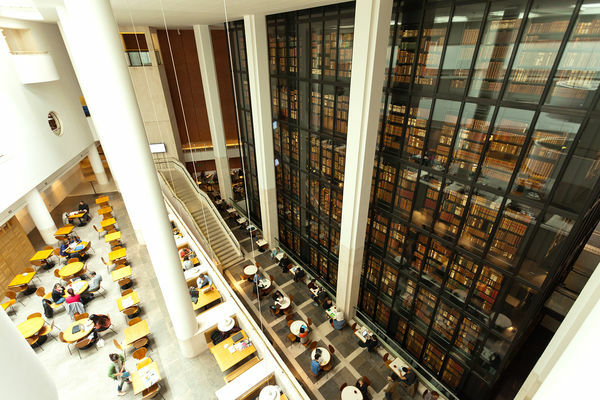 The British Library is vast, but its librarians have managed to cram everything that really matters into a two-room exhibition called "The Treasures." Early Bibles, a First Folio of Shakespeare's works, Lewis Carroll's "Alice's Adventures in Wonderland," the Magna Carta, and Beatles' lyrics (scribbled on the back of a greeting card) vie for your attention. Surrounded by this bounty, it's clear that the British Empire built some of its greatest monuments out of paper. Fans can pay their respects to Britain's literary masters in the Poets' Corner at Westminster Abbey. Geoffrey Chaucer was the first literary great to be buried here (in 1400). Among those interred nearby are Charles Dickens, Robert Browning, Thomas Hardy, Alfred Tennyson, and Edmund Spenser. Given their imaginative, sometimes fanciful culture, it's no surprise that the Czechs have produced some famously clever writers. Prague native Franz Kafka wrote his renowned Metamorphosis (elevator pitch: man wakes up as cockroach) in an Old Town apartment overlooking the Vltava River. That building was destroyed in 1945, but fans today can visit the Franz Kafka Museum (good even for those who don't know much about him) and the Franz Kafka Society Center (bookstore and center devoted to him). Ironically, until recently, many Czechs were not too familiar with Kafka, a Jew who wrote in German. During World War II, his writings were banned when Germans occupied the city and, after the war, his work was caught up in a wave of anti-German feeling. The ensuing Communist regime had little use for him either. Locals began to take him more seriously after the Velvet Revolution of 1989, when tourists from around the world started showing up wearing Kafka T-shirts. The lives and literature of Scotland's holy trinity — Robert Burns, Sir Walter Scott, and Robert Louis Stevenson — are the focus of Edinburgh's Writers Museum. Burns was Scotland's bard, extolling his native land in poetry. Stevenson stirred the Scottish soul with evocative classics like Kidnapped and Treasure Island. Scott — who wrote the historical novels Ivanhoe and Rob Roy — revived his countrymen's pride in Highland culture and the Gaelic language. With exhibits mingling first editions with personal artifacts (Scott's pipe, Burns' writing desk), the museum gives an intimate view of the masters. To enliven all the history, follow up a museum visit with Edinburgh's popular Literary Pub Tour, where actors wittily debate whether Scotland's great literature was high art — or creative recreation fueled by a love of whisky. Another writers' landmark is the Shakespeare and Company bookstore. 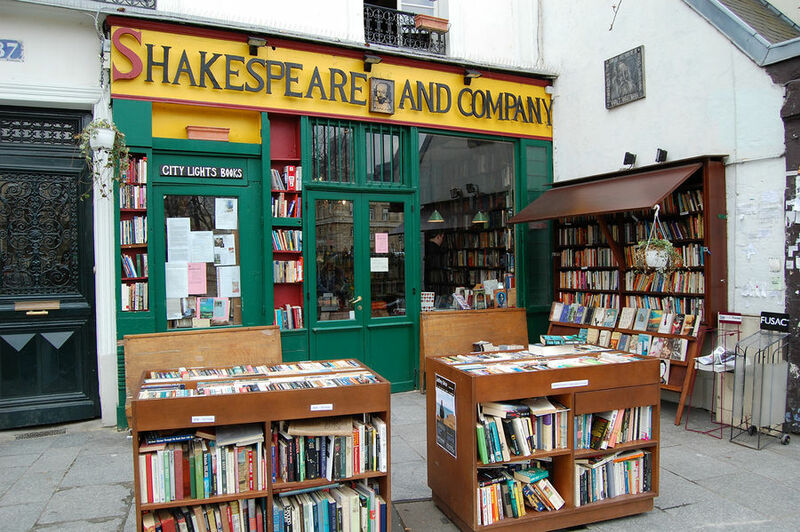 Founded in 1919 by free-thinking American Sylvia Beach, the original shop on Rue de l'Odeon was a meeting place for Paris's expatriate literary elite. Ernest Hemingway regularly borrowed books from the store. When James Joyce struggled to find a publisher for his now-classic Ulysses, Beach published it. While the Nazis shut the shop down in 1941, its postwar incarnation near the banks of the Seine carries on Beach's tradition by supporting struggling writers. Of all the places I've traveled in Europe, Ireland excels in literary passion. Around the turn of the 20th century, Dublin produced some of the world's great writers. Oscar Wilde wowed Britain with his quick wit and clever satires of upper-class Victorian society. William Butler Yeats won a Nobel Prize for his Irish-themed poems and plays. Most inventive of all, perhaps, was James Joyce, who captured literary lightning in a bottle when he focused on Dublin's seedier side in his stream-of-consciousness Ulysses. The Dublin Writers Museum is the place to view authorial bric-a-brac. But to experience the Irish gift of gab in its highest form, treat yourself to a night out at the Abbey Theatre. Founded by Yeats to bring to the stage the "deeper emotions of Ireland," the theater has been promoting Irish writers and artists for more than a hundred years. It's no exaggeration to say that Europe's literary documents changed the course of history. 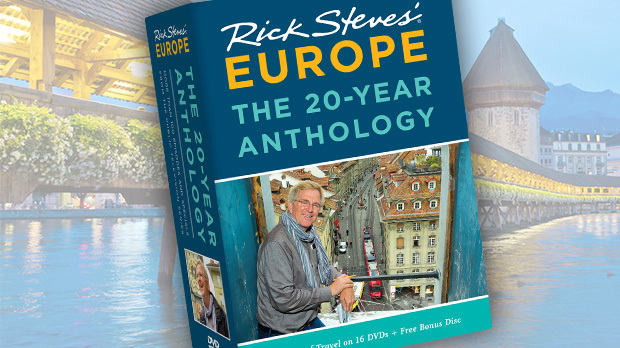 From pubs to museums to libraries, if you decide to target the literary culture of Europe, the entire continent can be a good read.